With the dangers of reporting and documenting conflict or uprisings claiming many lives every year, drones seem to be a practical and safe alternative to otherwise dangerous missions. 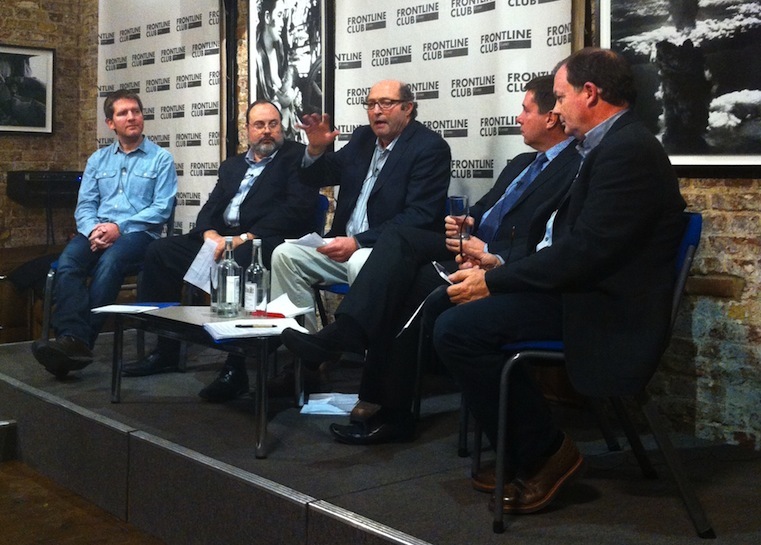 On Wednesday 20 November, the Frontline Club hosted a panel discussion chaired by Richard Sambrook, professor of journalism at Cardiff University and a former BBC Global News director. The five-person panel debated the use of unmanned aerial vehicles (UAVs) in the field, touching on ethics, law and the safety, as well as the advantages, it brings to journalism.